New Delhi [India], Jan 5 (ANI): BJP on Saturday accused Chief Minister Pinarayi Vijayan-led Kerala government of fanning violence in the state over Sabarimala row. Pandalam (Kerala) [India], Jan 4 (ANI): Two CPI(M) workers were arrested on Friday in connection with the death of Sabarimala Karma Samiti worker, Chandran Unnithan, during a clash in Pandalam amidst Sabarimala row. Thiruvananthapuram (Kerala) [India], Jan 3 (ANI): The Kerala Police on Thursday detained two people for allegedly sparking violence in the vicinity of Sabarimala temple following the entry of two women below 50 years of age into the shrine. Kathmandu [Nepal], Oct 25 (ANI/RSS): Communist Party of India (Marxist) Secretary General Sitaram Yechury arrived in Kathmandu today. New Delhi [India], Sep 04 (ANI): The Communist Party of India (Marxist) CPI (M) on Tuesday said the reports claiming that party's Central Committee has intervened in the alleged sexual harassment charges filed against Kerala party MLA PK Sasi case is "baseless". 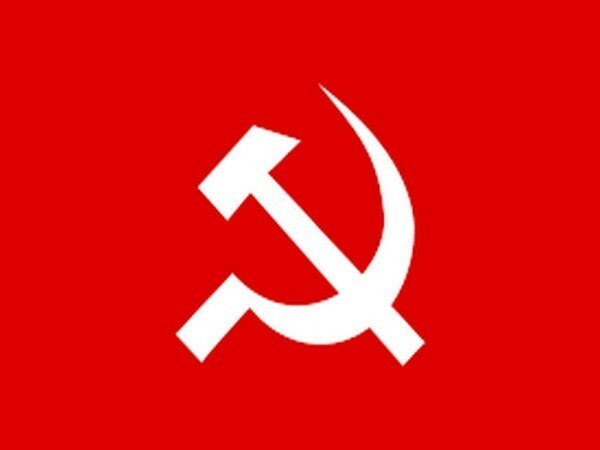 Kannur (Kerala) [India], July 6 (ANI): The Thalassery additional district sessions court has awarded life imprisonment to 11 Communist Party of India (Marxist) (CPM) workers in connection with murder of a Bharatiya Janata Party (BJP) worker in 2008. New Delhi [India], July 4 (ANI): The Communist Party of India (Marxist) urged the Centre to implement stern measures immediately in order to end growing instances of "mindless violence".